In this its seventeenth year – Printfest returns to The Coronation Hall in Ulverston. It’s the UK’s foremost artist – led printmaking festival, giving you the opportunity to meet the artists, chat with them about the printmaking process, view, chat about and purchase their artwork. Not only do you get to hear what the artist has to say about their particular pieces of work, it gives the artist the chance to ask you about why you are attracted to their artwork too. The festival starts with an opening talk on the 3rd May at 6pm by Printmaker of the year 2018: Gail Brodholt. 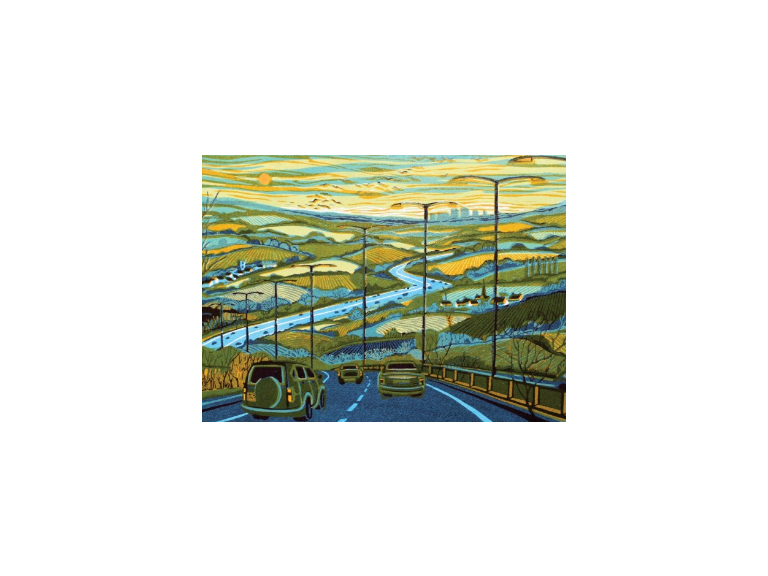 A leading painter and printmaker of contemporary urban landscapes, Gail has exhibited widely and is the recipient of many prizes for printmaking. Friday 4th May sees the artists arrive and put up their work in Ulverston before a private viewing between 6.30pm – 9pm. There will also be a presentation of Selected Print Awards. Saturday 5th sees the festival open to members of the public between 10am – 5pm, giving you the chance to view and purchase from national and international artists. There’s affordable artwork for all, so make sure you pay the exhibition a visit. You can visit the exhibition again on Sunday 6th between 10am – 4pm. It’s also when Printmaker’s Printmaker award (3.30pm) and the Visitor’s Choice Award (3.45pm) are announced. Artwork will be taken down at 4pm, bringing an end to this fabulous event.